July 26th- Aug 5th. We will leave Friday night from the US and return on the following Monday which would mean 8 days of riding in the most beautiful mountains there are on this planet . We would still fly into Milan( MXP)and stop by Bergamo for logistic reasons and picking up rental bikes if desired. Due the distance from Bergamo and weather conditions in May I have decided to add another Italy Cycling Camp specifically covering all the legendary climbs in the Dolomites – Ronda Sella (Gardena Passo Pordoi, Passo Sella ),Passo Giau, Passo Fedaia ( Marmolada ), Tre Cime Di Lavaredo and Monte Zoncolan etc. 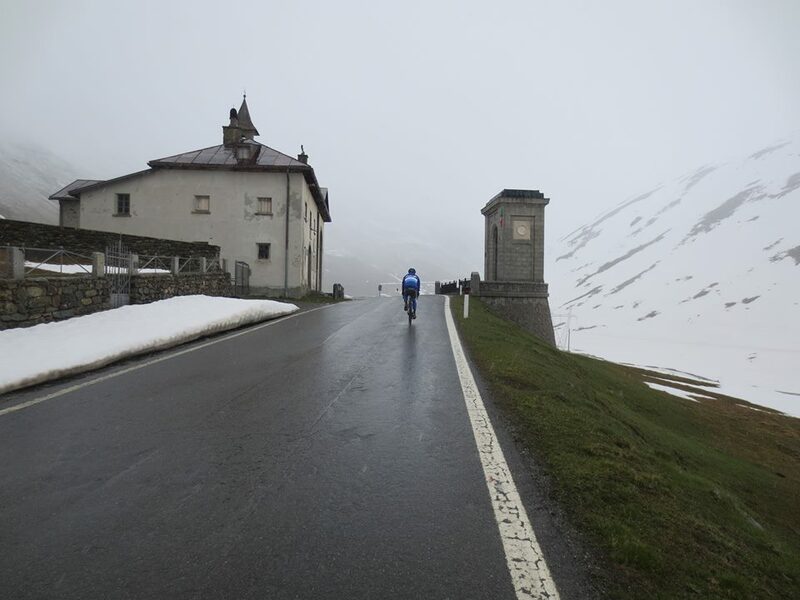 All the mountain passes we always dream about and read about , but during our Giro Camp in May these famous mountain passes are not always open yet due to snow and we could never cover all these mountains in such a large area during one camp anyway . We will stay in several different hotels during this week along the route and do 1-3 big climbs each day. Of course there are valley roads in between to get to the passes as well and the mileage will vary from day to day, but a fare amount of climbing with stunning views no doubt. -Spouses and non-riders are welcome, but unfortunately there will not be any organized program for non-riders. Room and board will be included for an additional cost of $1,000.00 per non-rider. -Price will include transportation to and from the Milan airport, hotel with breakfast, dinner and complementary snacks, sports drinks for our rides and many other daily logistics. All you have to worry about is eat, sleep and ride – enjoy the experience . -Also included is a special Italy FinKraft cycling kit. High end rental bikes are usually available for this camp at about 100-120 euro for the 9 days we are there. You would need to provide sizing and measurements prior to departure, but this option makes travel a lot easier. This will be the most breath taking scenery and the most epic climbs you will ever do on a bike guaranteed. 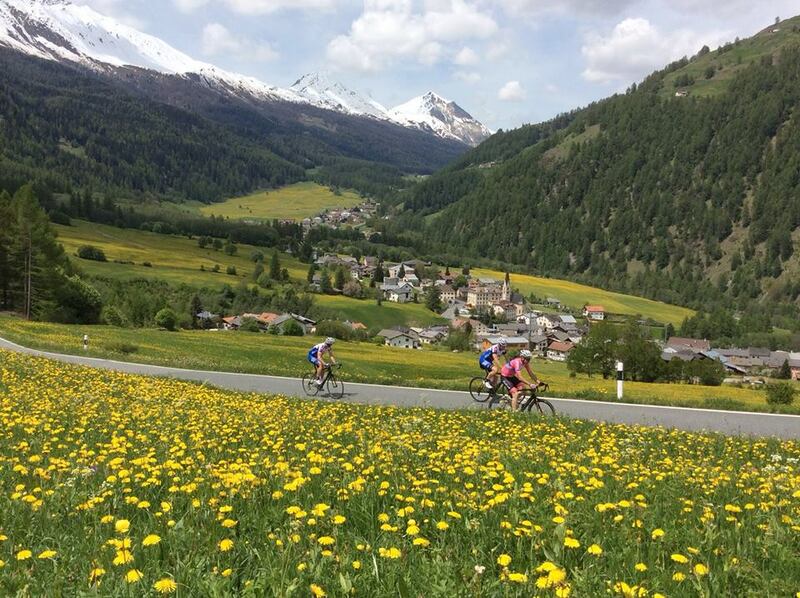 A true “Bucket List” Cycling adventure . I will notify you about submitting a $ 500 deposit as soon as we reach minimum of 6 riders for this camp , max 8 due to logistics . Obviously you got the idea by now that this is a climbing camp , but any fit cat 3-4 level rider or strong none racer can attend . Little less mileage some days , but still a lot of time on the bike each day . The only sight seeing we will be doing is on the bike . This camp takes place mostly in the North Eastern Italian mountains , so a little different foods, regions and culture than on our Giro / Italy camp as well. A General Itinerary. Routes are subject to change due to weather and road conditions of course. We will try to tackle the key mountains stages and passes , but we might not ride back to Bergamo all the way depending on how ON schedule we are by the end of the week . Safety of the riders are number one on this camp as always and we will make adjustments on the route as we progress through out the week to make this a challenging , but enjoyable experience at the same time. Depart from the US , evening flight . Arrive in Milan ( MXP ) preferably 9.00-10.000 am , one airport pick only. Transfer to Bergamo and enjoy lunch. Pick up rental bikes if needed or build your own bike. 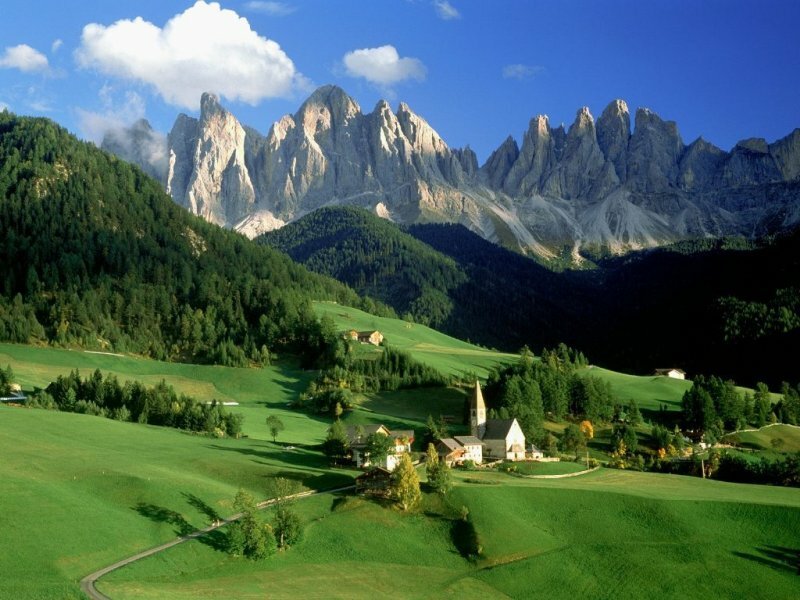 Depart for the Dolomites around 3.00 pm . We will stay the night in Mezzolombardo ( Trento ). Pizza dinner and time for bed. Our Dolomite Cycling Camp has officially started. Breakfast and it’s time to get on our bikes. Today we will ride a nice scenic route to Canazei. A rolling slight uphill route with a few few bigger climbs at the end. We have a couple route options on hand weather depending. Neither route will be disappointing I can assure you . The famous Ronda Sella loop, clock wise. This route will include Passo Sella, Passo Gardena, Passo Campolongo and finishing with Passo Pordoi. 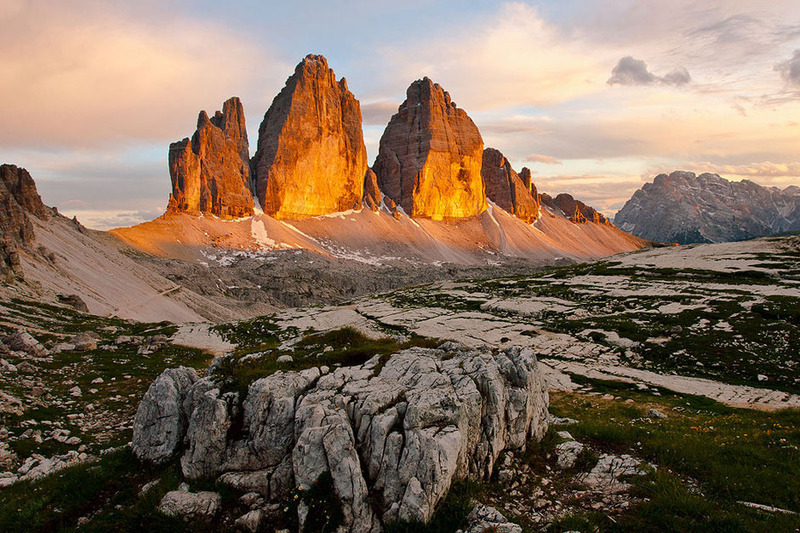 Epic and one of the most famous routes in the Dolomites. Stay the night in Canazei again and enjoy another mountain dinner. Today we set out over Passo di Fedaia ( Marmolada ) and eventually over Passo di Giau ending up in Cortina d’Ampezzo. This is where the 1956 winter Olympics were held, also a very famous ski town these days. 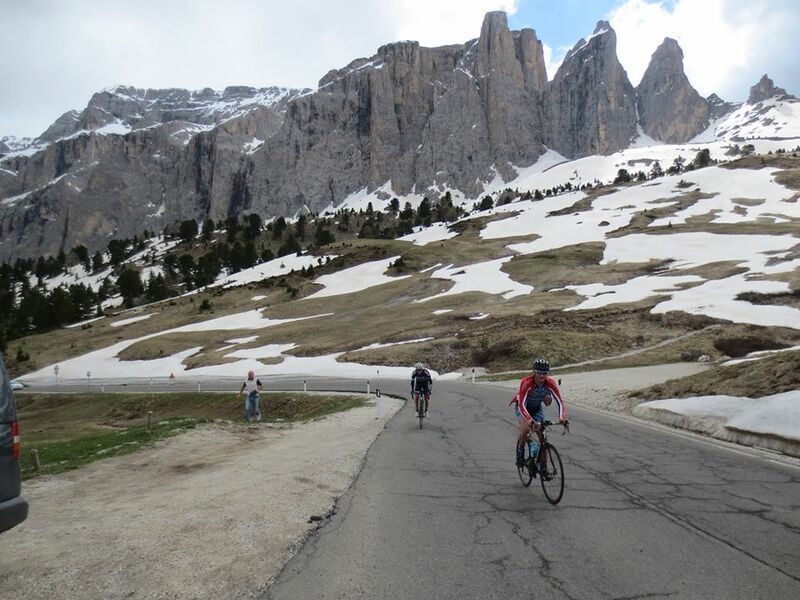 We will continue riding east towards Tre Cime di Lavaredo, the true Dolimites and a very famous mountain in the Parco Naturale Tre Cime, after a few photos and back down we will head towards the base of Monte Zoncolan. Stay the night in Ovaro and rest up for another epic day. Today we will ride the Monte Zoncolan loop and then head back west. A very scenic route of the Southern Dolomites towards Trento, goal is to make it as close to Trento as possible. Once again we have some route option and climbs to choose from. 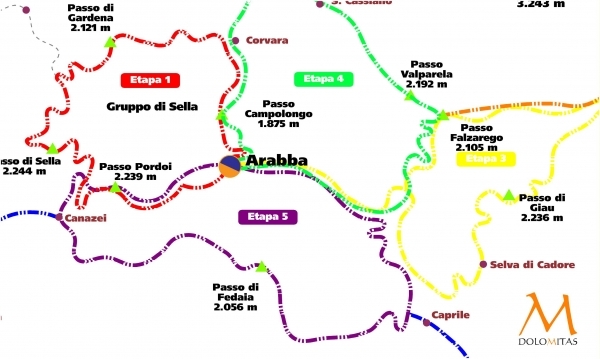 Our route today will head passed Trento and we will be doing a climb right out of Trento Monte Bondone and via local roads to Tione di Trento and then down to Bagolina . 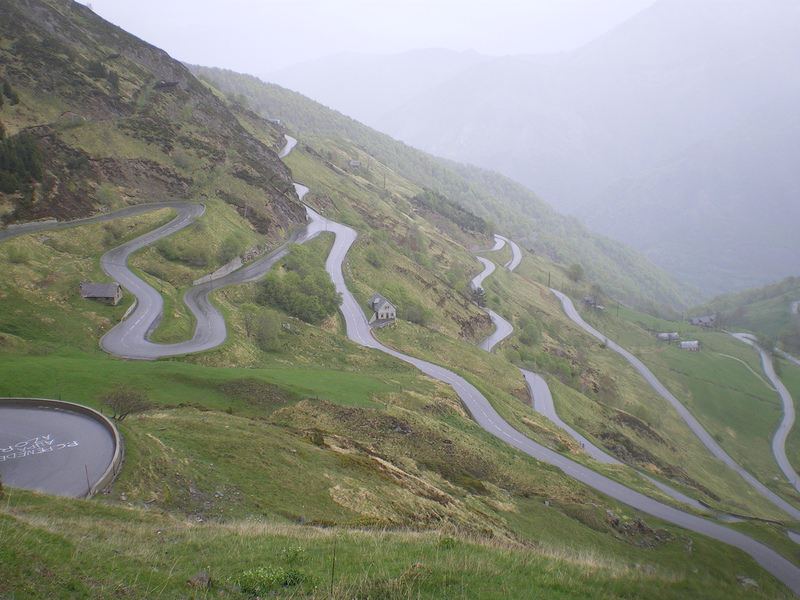 These roads are very popular in the Giro del Trentino in a very beautiful part of Italy. Last day on the road , we will start with Passo Manvia, an epic climb and with some very barren wild landscape on top of the pass. There after will be taking a very scenic route to the south end of Lago d’Iseo. We are now about 50K from Bergamo. 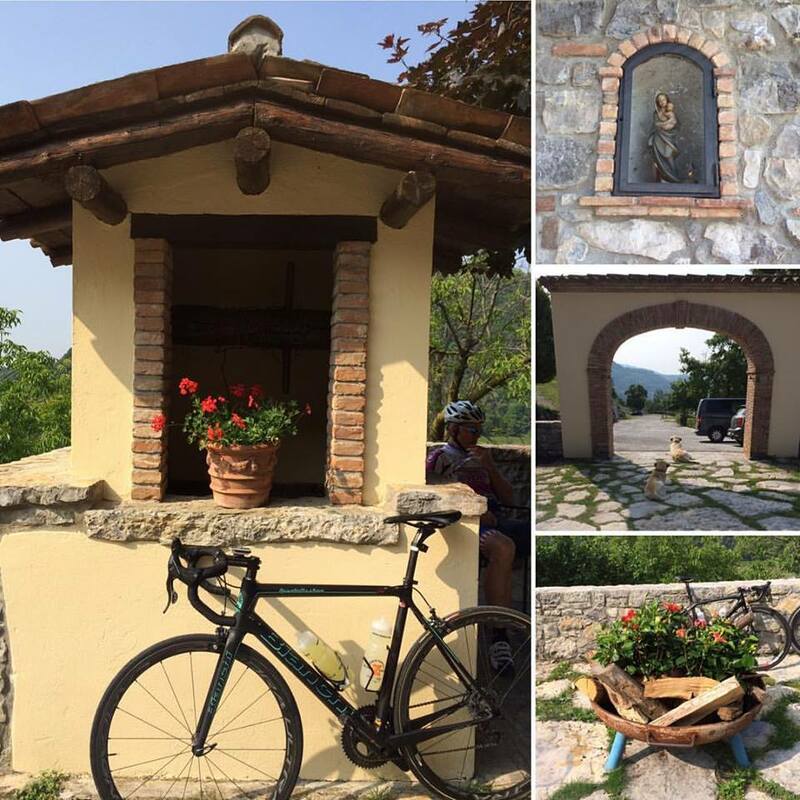 Lets do a local ride around our familiar base hotel Cuscina Belvedi, plenty of cool roads here and famous routes of the Giro and Il’Lombardia. Today is also time to return the rental bikes or box back up your own. After we pack it is time to enjoy our last dinner in Italy, hopefully some more Casoncelli and Tiramisu. If we leave on the early side we can get this final ride in no problem and still have time for everything else and get ready for our travel back home . Time to relax and reflect on the epic week that has gone by . Am bus transfer to the Malpensa ( MXP) Airport in Milan. Departure time from the hotel around 5.00-6.00am, so schedule your return flights to depart 8.00 am or later if possible. If you have different travel plans you are responsible for your own transportation to the airport.